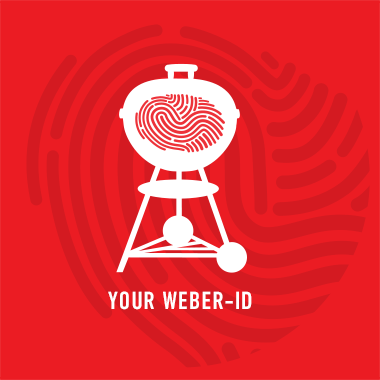 Your Weber barbecue is ready to cook in all weathers, and with our tips below, now so are you. Cold weather: Cold-weather barbecuing presents some special challenges, so you will need to be more flexible in your cooking and serving schedule. If it’s been snowing, remove the snow from the entire barbecue before preheating. For the Direct method, it may be necessary to add a couple minutes of cooking time per side and use a food thermometer to ensure doneness. Most important is to keep the lid down as heat will escape very quickly and it can take a long time to get back to cooking temperature. Foods cooked by the Indirect method are great because you don’t need to lift the lid and turn them, but on very cold days you may have to increase the heat to maintain a roasting temperature. Position the barbecue near a window so you can monitor its temperature from inside (but keep hot barbecues at least three metres from your house or any other combustible materials). Make sure your bulky winter clothing doesn’t come into contact with the hot barbecue. Wind: Wind affects gas and charcoal barbecues more than anything else. When it is windy, it may be helpful to angle a gas barbecue so the wind is perpendicular to the flow of the gas through the burner tubes. Check through the match-light hole—which avoids any lid lifting—to ensure the flames haven’t gone out. If the burners should go out while in operation, turn all gas valves off. Open the lid and wait 5 minutes before attempting to relight the barbecue. For charcoal barbecues it may be necessary to add charcoal more often to maintain a consistent temperature when it is windy. Always keep the vents open. Lift the lid slowly and to the side to prevent ashes from blowing up on the food. High altitudes: At higher elevations you need to increase most cooking times, especially when you’re using the Indirect method (fast-cooking foods over Direct heat don’t need much more time). Also adjust for cold and windy weather as above when needed.